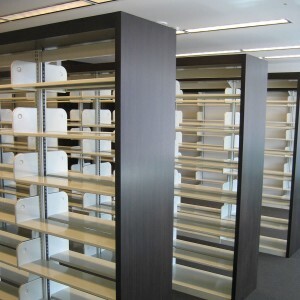 Library Storage & Shelving Systems. 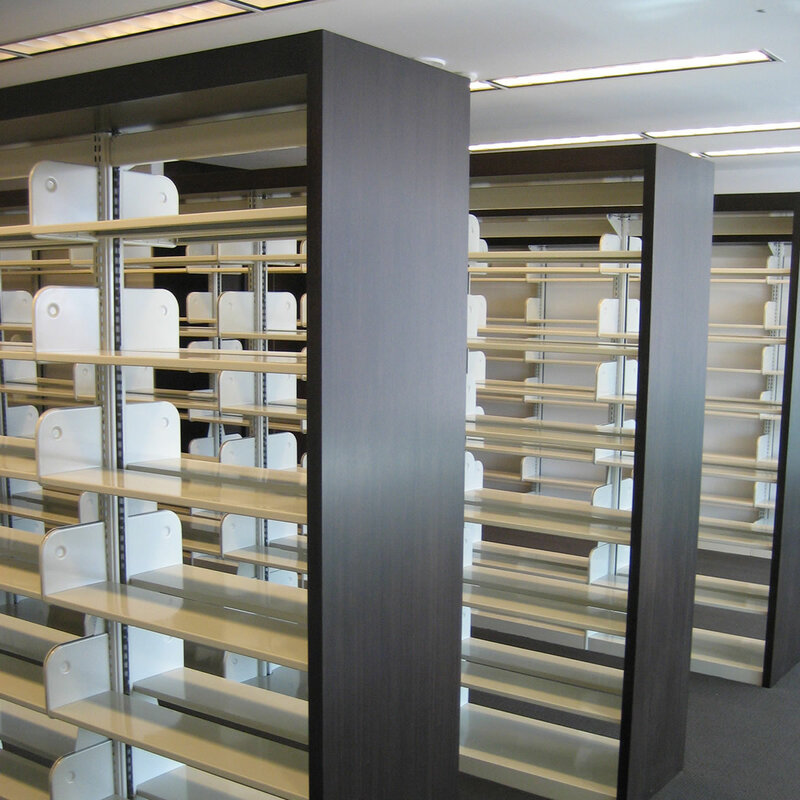 Vital Valt offers full scale library design with real wood furniture and shelving and steel library shelving systems. Library Shelving is fully customizable to meet your storage needs for Corporate & Public Library facilities. 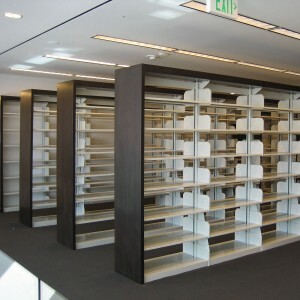 Cantilever Shelving is the most common form of library shelving. 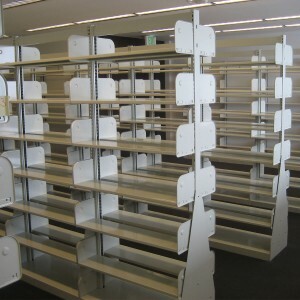 4 Post Shelving is also available. 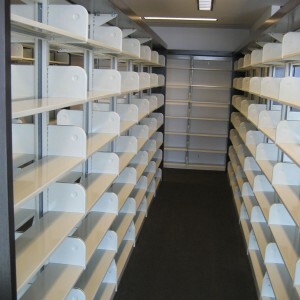 Library shelving can be designed for Space Pro High Density Compact Mobile Shelving Systems to save space and money. 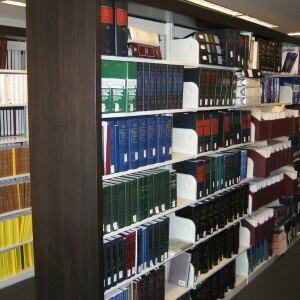 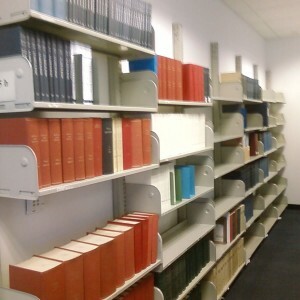 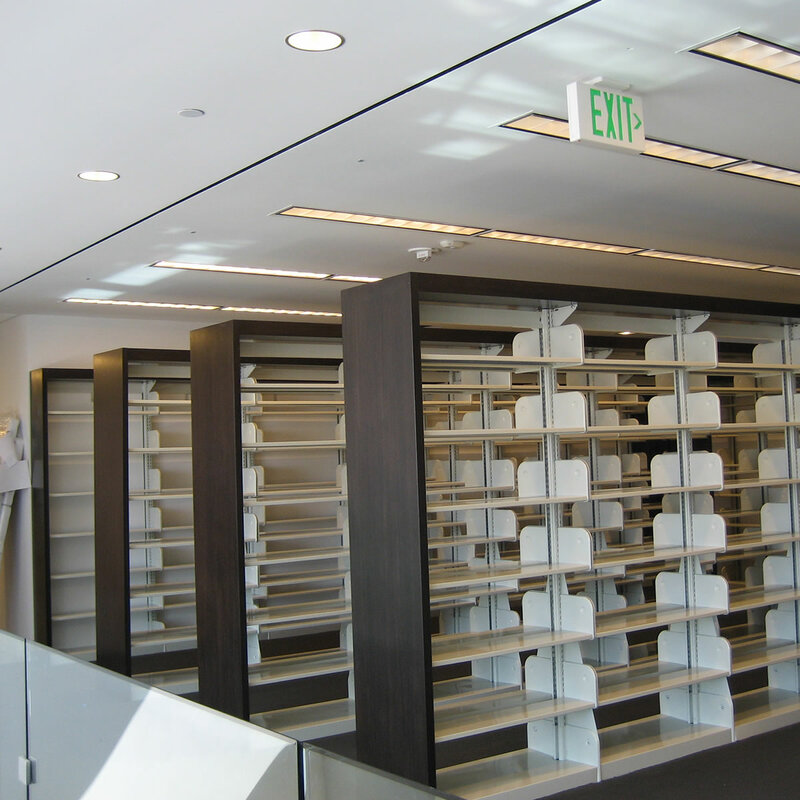 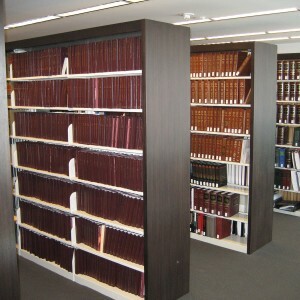 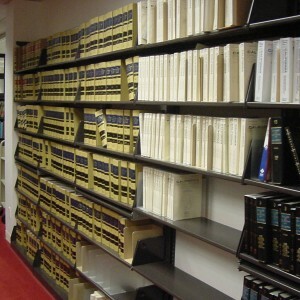 Cantilever Shelving is most commonly used in libraries for book storage. 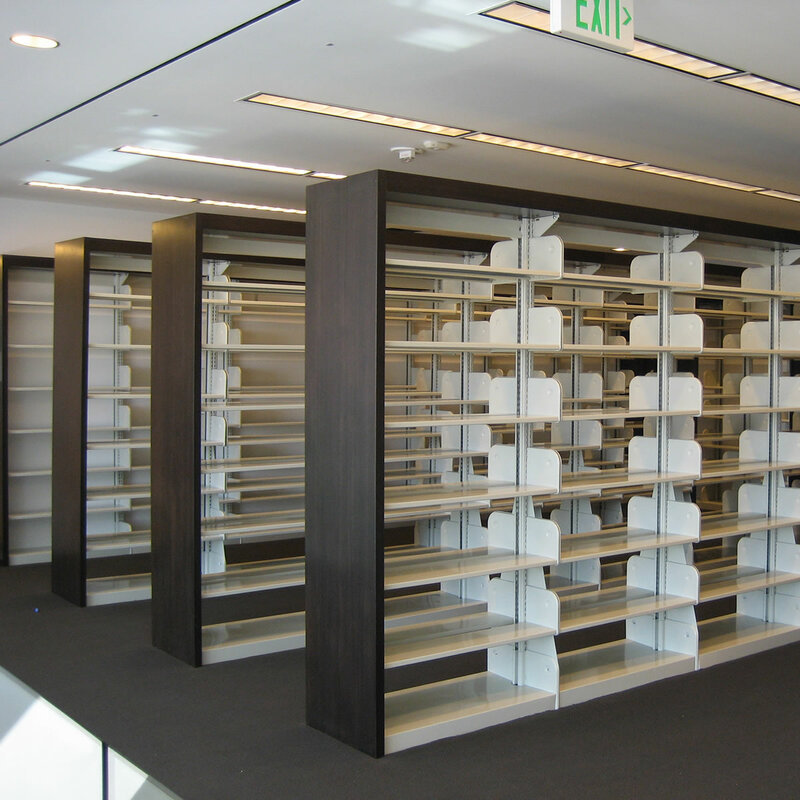 Cantilever shelving is designed around two posts. 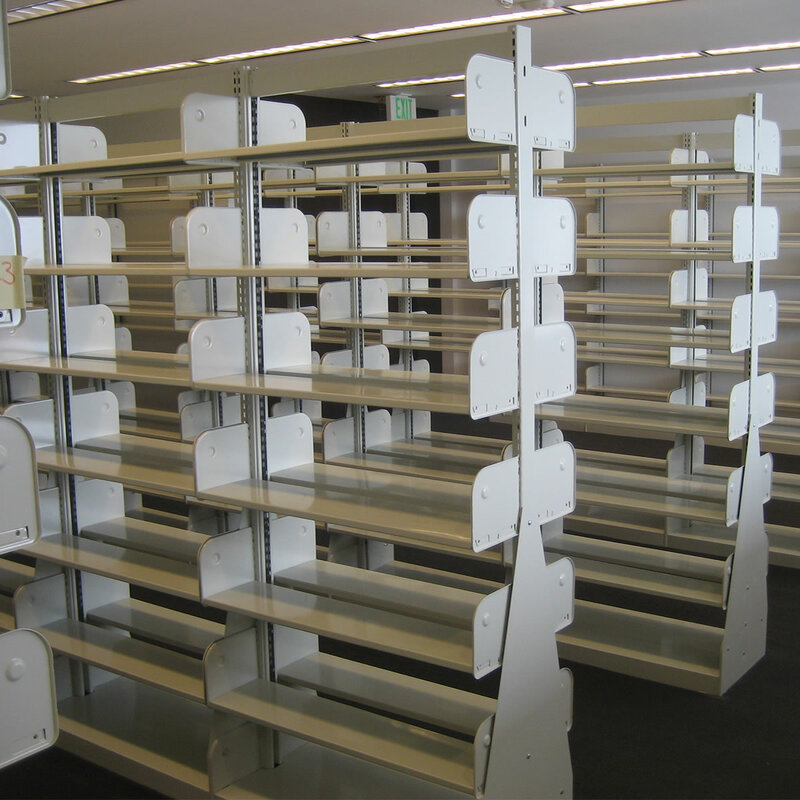 In double sided units, the post is in the middle and shelves hang outward to each side. 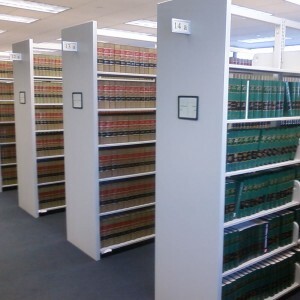 In single face units the posts are at the rear with the shelves hanging off the post to the front. 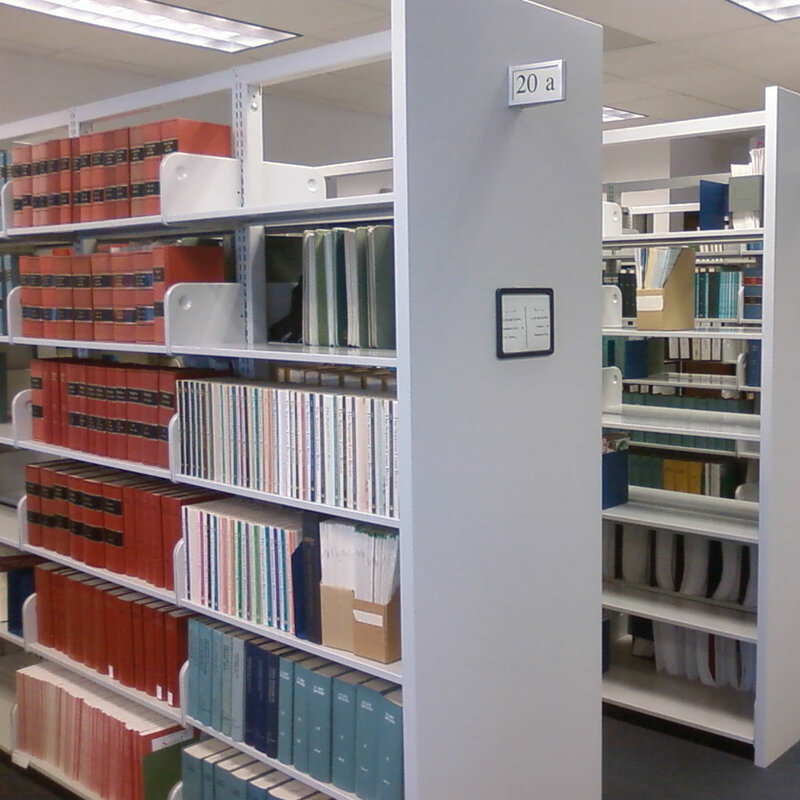 There are no front posts in this type of shelving. Reverse cantilever shelving is a bit different as the post is in the front and the shelves hang to the middle on double face units and to the rear in single face units. 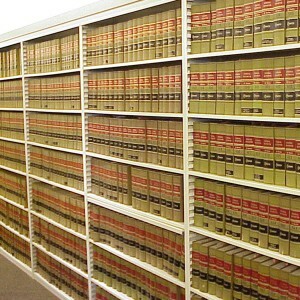 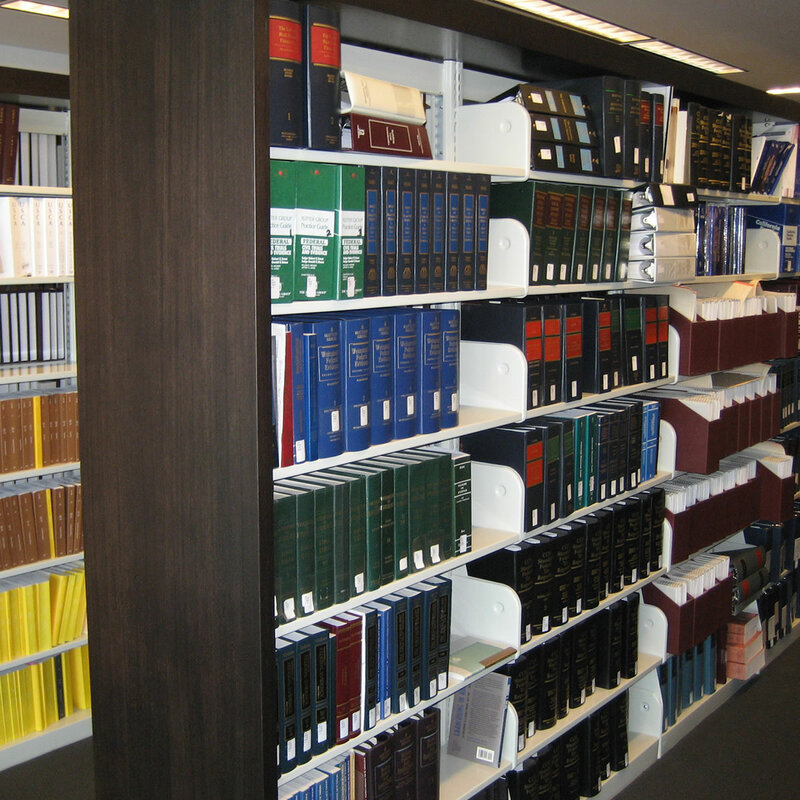 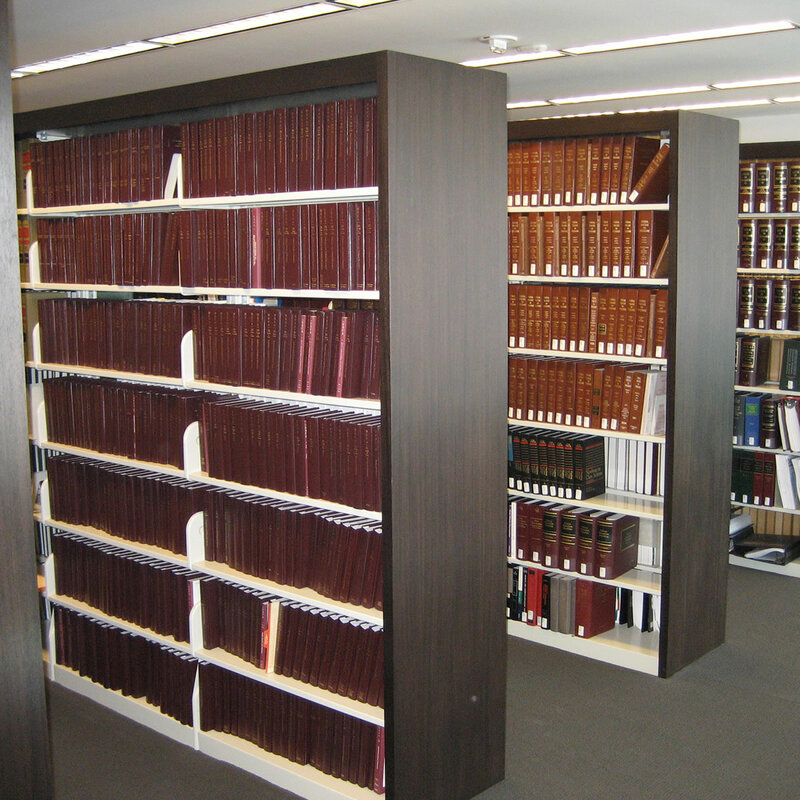 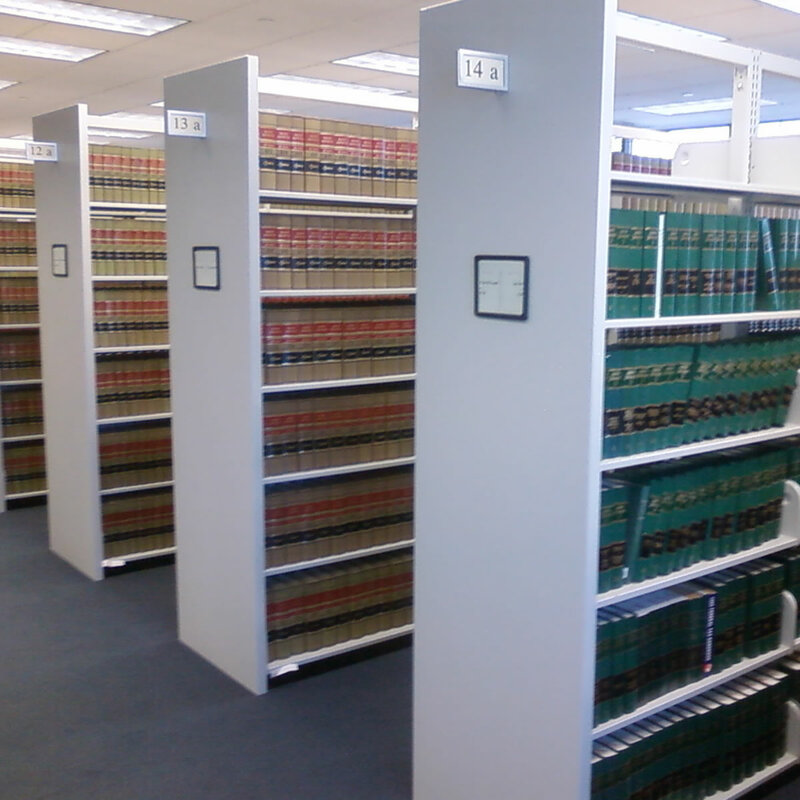 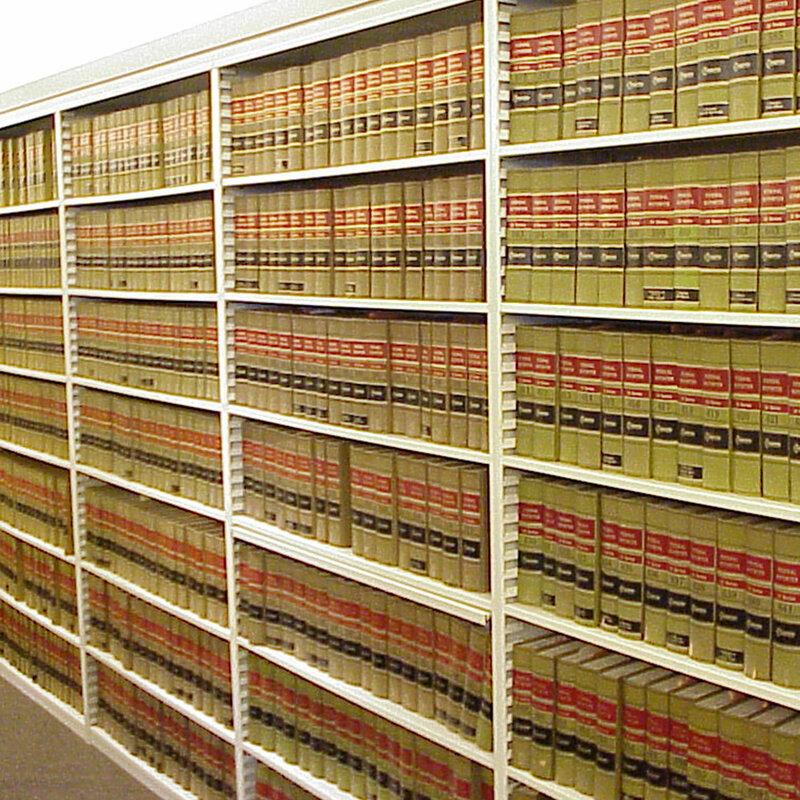 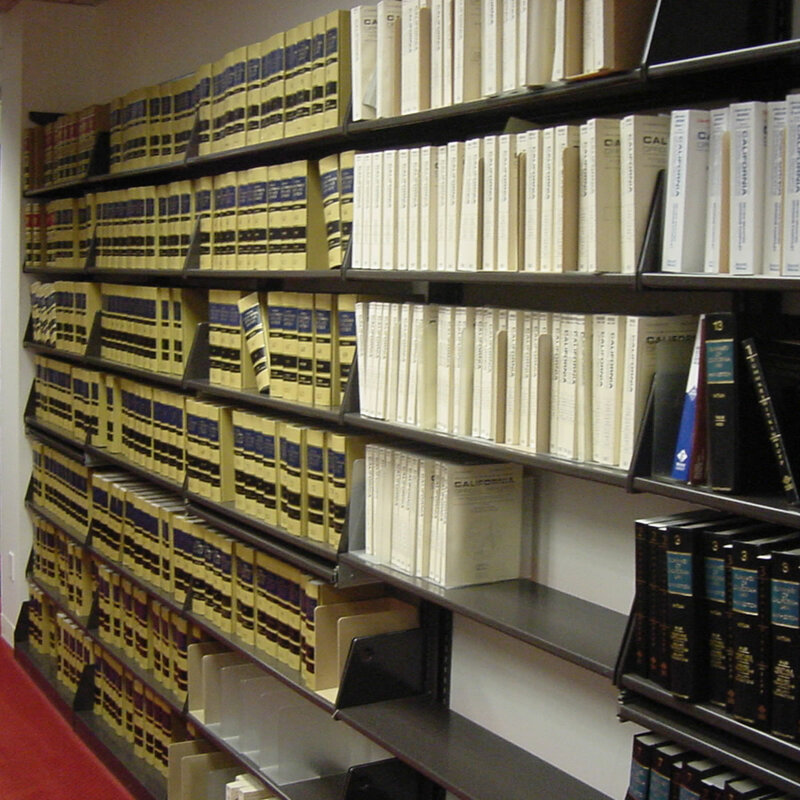 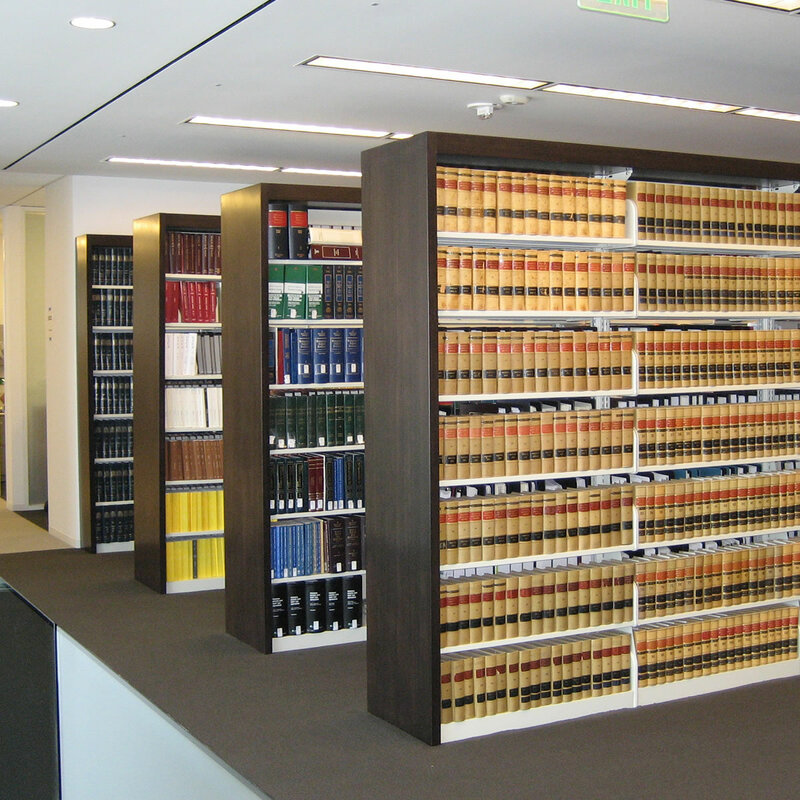 Vital Valt works with law, commercial and government libraries designing space saving library shelving systems.